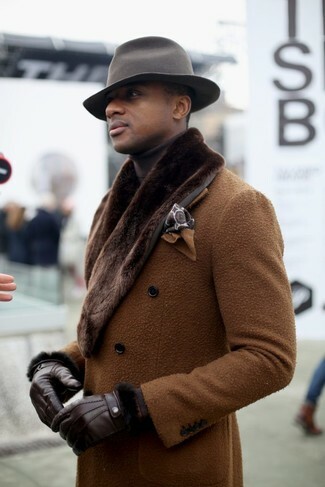 If you prefer functionality dressing when it comes to your personal style, you'll love this stylish combination of a brown fur collar coat and a Penrose London Wild Flower Garden Print Pocket Square from Barneys New York. 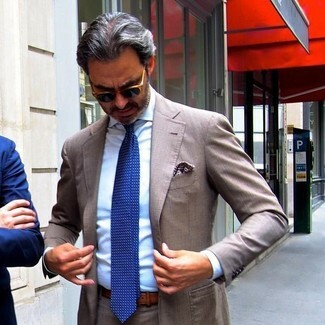 If you're scouting for a casual yet sharp look, pair a brown suit with a brown print pocket square. Both of these items are very comfy and they will also look great when worn together. 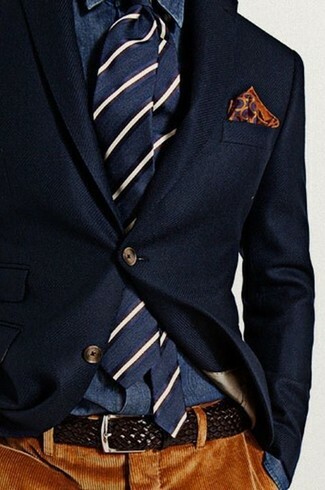 If you're hunting for a casual yet sharp outfit, try pairing a navy three piece suit with a brown print pocket square. These two items are super comfy and they will also look great when worn together. To add more class to your getup, finish off with tan leather oxford shoes. 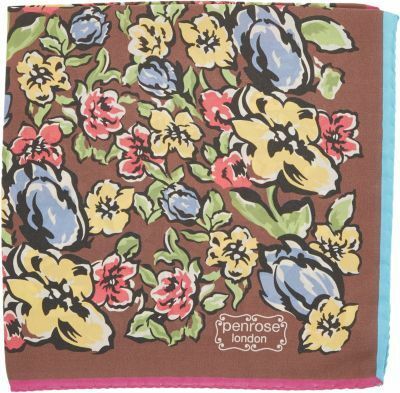 We all want comfort when it comes to dressing up, and this combination of a navy wool blazer and a Penrose London Wild Flower Garden Print Pocket Square from Barneys New York is an amazing example of that. 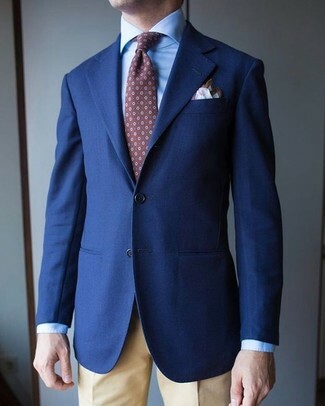 We all outfit for comfort when it comes to dressing up, and this combination of a navy blazer and a Penrose London Wild Flower Garden Print Pocket Square is a practical illustration of that. 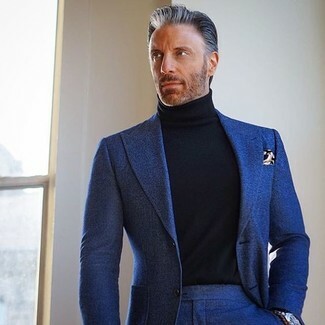 If you're looking for a casual yet sharp ensemble, consider teaming a navy wool suit with a Penrose London Wild Flower Garden Print Pocket Square. As well as very comfy, both garments look incredible together. 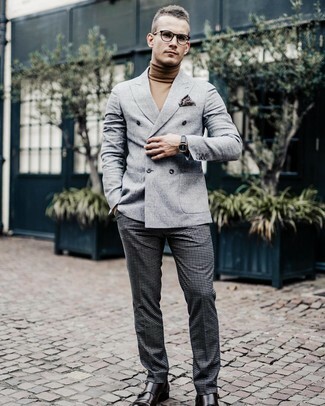 A grey wool double breasted blazer and a Penrose London Wild Flower Garden Print Pocket Square worn together are a sartorial dream for those dressers who appreciate casually stylish combos. 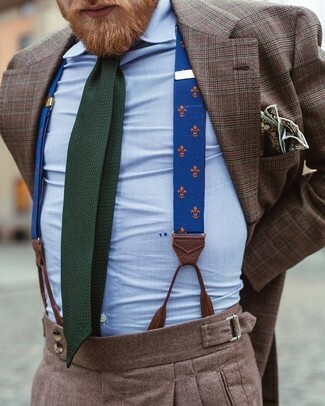 Dark brown leather double monks are the most effective way to give a hint of sophistication to this look. If you're a fan of relaxed dressing when it comes to fashion, you'll love this stylish pairing of a brown plaid blazer and a brown print pocket square. 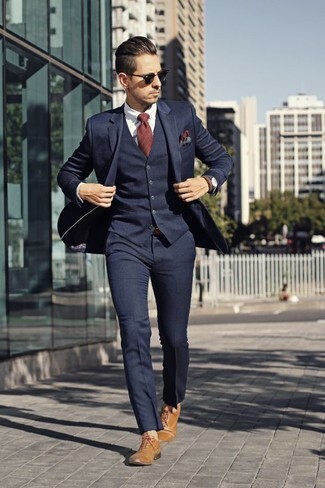 If you're in search of a casual yet seriously stylish getup, opt for a dark brown wool suit and a brown print pocket square. As well as very comfortable, both of these pieces look amazing together.